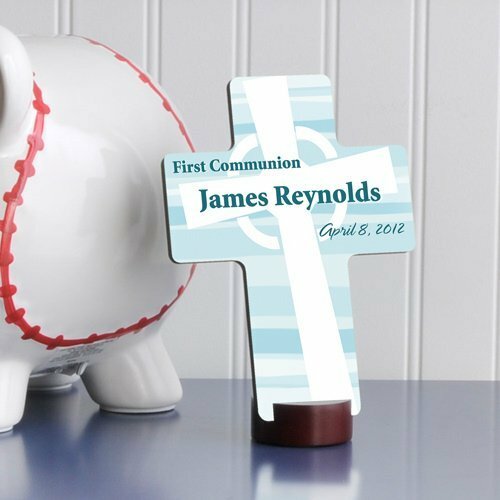 A stylish message of God's love, our Celtic Blessings First Communion cross is the perfect way to celebrate his big religious milestone. Cross is personalized with his name and the date of the first communion for the perfect visual reminder of such an important time in his life. Finely crafted from wood composite, the cross measures 6-3/4" x 5-1/8" x 1/4". Circular stand measures 1-3/4" in diameter.